You can find burgers all over Walt Disney World. Finding some special ways to dress them up at the different quick service locations gives you lots of options! One of the most likely places you’ll find a burger are at the Quick Service dining locations throughout Walt Disney World. Just because you don’t want a sit down meal doesn’t mean you’re going to sacrifice any quality or limit yourself to the typical hamburger on the bun. 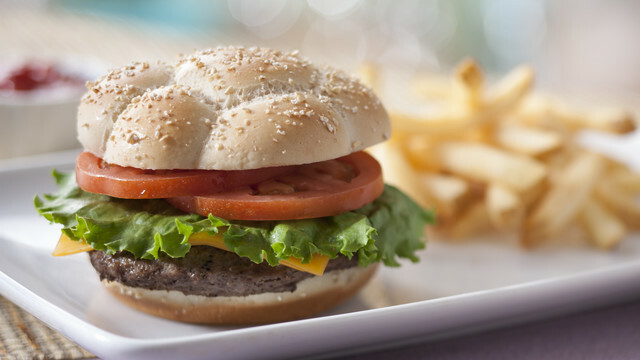 The most common burger you’ll find at Quick Service locations is the typical beef burger. In most locations you’ll be able to order the burger with or without bacon in addition to toppings like lettuce and tomatoes. At various locations around Walt Disney World, you can get the option of a black bean burger for those who need or want something a bit different than the typical beef patty. Depending on your taste and dietary needs you can add toppings like lettuce and tomatoes to these burgers as well. Being a picky eater, I always order my burgers plain – just the meat, cheese and bread. For people a bit more adventurous than I am, you’ve got several options. Adding toppings like ketchup, mustard or mayonnaise is very easy in most locations. Quick Service locations have self service counters for the condiments so you’re able to take as much as you’d like to dress up your burger. 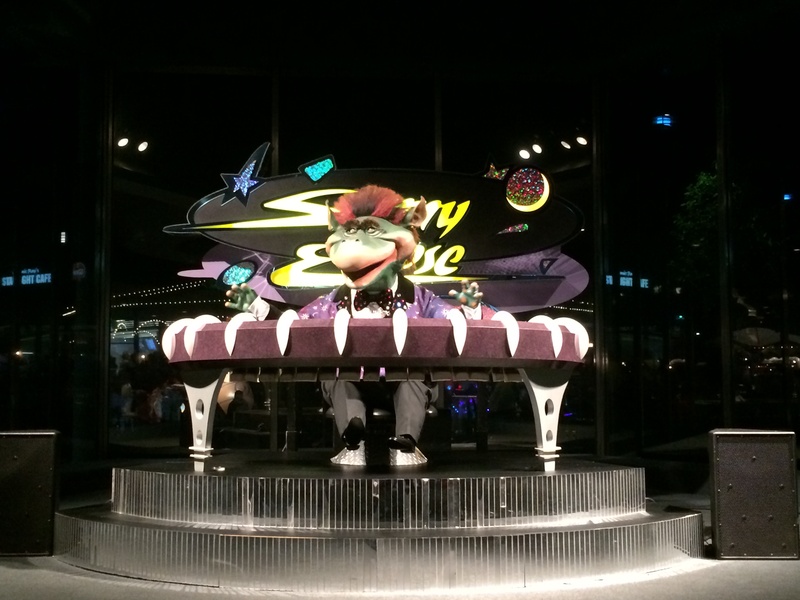 In our travels, Cosmic Ray’s Starlight Cafe is the best place to find tons of toppings for your burgers. You’re able to add anything from the self serve salad bar to your burger, giving you a completely different burger every time you eat there. 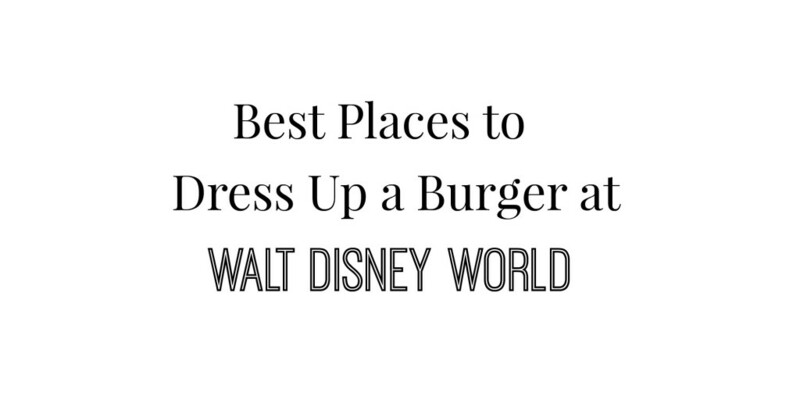 You’re not limited to the parks to find a tasty burger with lots of topping options either! Check out Pop Century’s food court for burgers with topping options to create the custom burger you’ve been craving. Neat angle! I also find that the restaurant beside the Country Bears has an awesome condiment bar. I like my burgers simple, too. If the meat is good, there’s no need to dress it up that much. But I know others love to top their burgers off with all the trimmings. Pecos Bill’s used to be a great place for that! I’ve had the black bean burger at a couple of locations in Disney, but my favorite veggie style burger is the one they serve at the Sci Fi Diner. 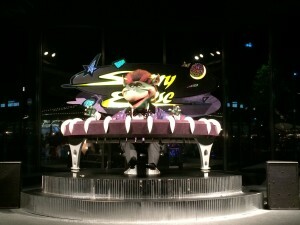 My boys love the burgers at Cosmic Ray’s Starlight Cafe too; in part because of the choice of toppings, and in part because of “the show.” Alas, Peco’s Bill used to have a terrific burger topping station too, but now it’s a supreme taco station! Any place that has a fixin’ bar works for me. I typically get a kids meal and then dress up the burger. Works for me!